If you accept a JUStudyAtEase offer, you'll pay an individually predetermined percentage of your income back after you graduate, begin your career, and earn a pretermined minimum income. During your studies and your career. You make your own decisions. Your payments depend on your income. There is no fixed amount to repay. It is not a loan. 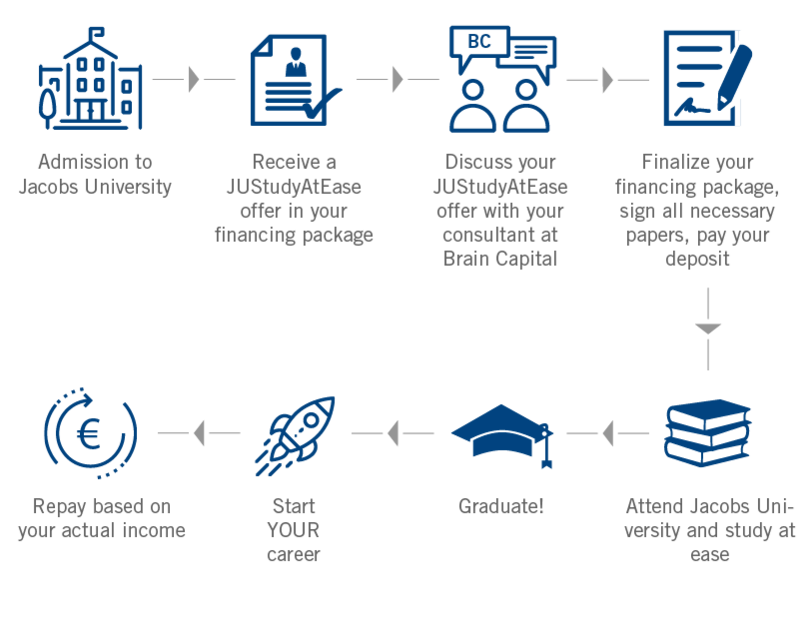 The basis for JUStudyAtEase is the"Generation Contract", an innovative tuition financing model by BrainCapital. 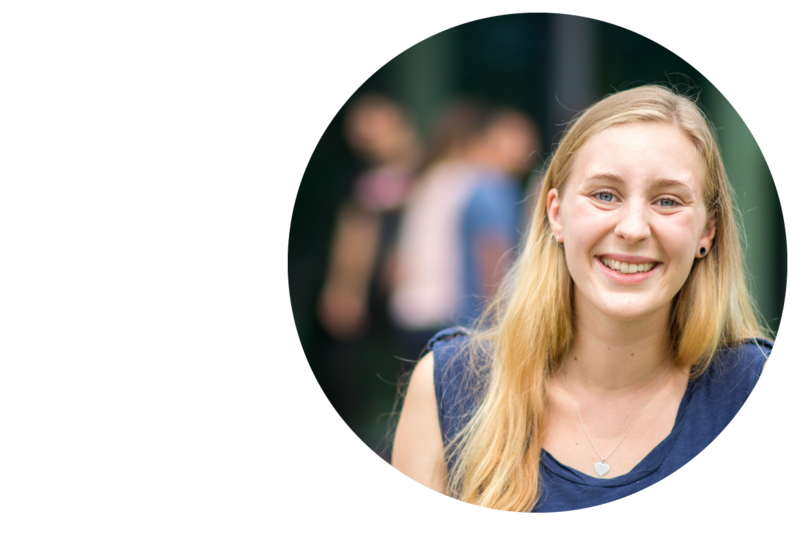 It was created at WHU - Otto Beisheim School of Management in 2005 by a student initiative. Faithful to the motto "from students for students", the contract enjoys great popularity. Since 2018, the Generation Contract and JUStudyAtEase have been available for Jacobs University students as well. 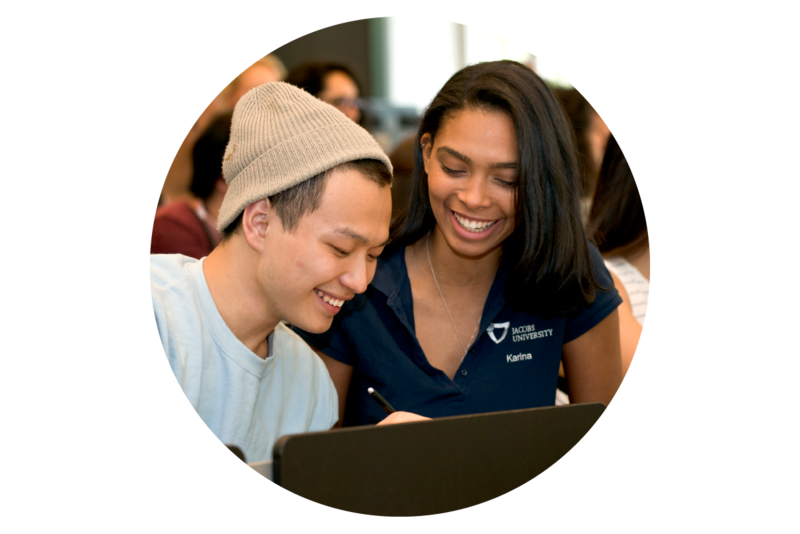 We are convinced that an investment in a student pays off. What counts for us is the individual's motivation and personality. Everyone should have the opportunity to study, irrespective of their financial situation. Our goal is to offer every qualified applicant the opportunity of studying at Jacobs University. I would like to schedule a consultation.